The Foreign Exchange family is will back to Bmore! Tickets on sale now. The 8x10 is a 21+ venue. 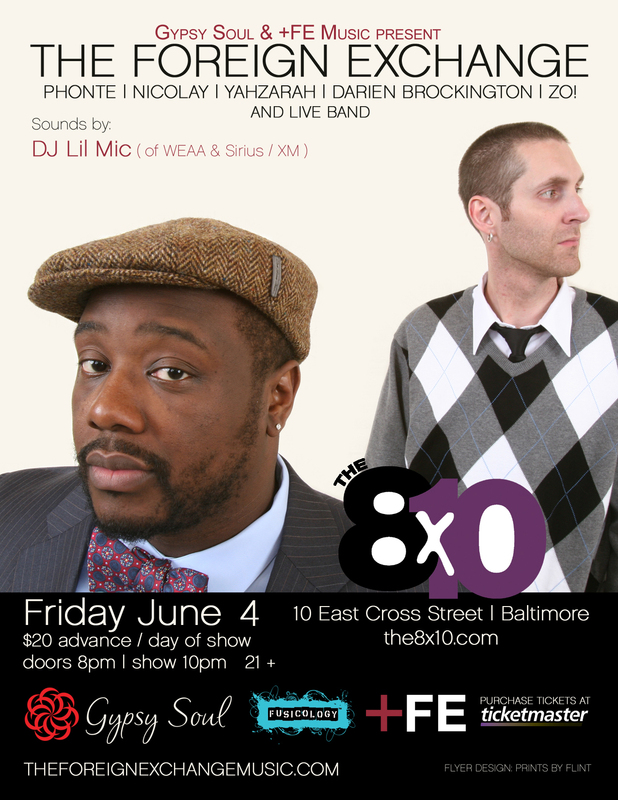 Baltimore, Darien Brockington, Nicolay, Phonte, The 8x10, The Foreign Exchange, YahZarah, Zo!